Specialising in personalised unique ceremonies! Everyone is unique. You want a ceremony created just for you. But where to start? I would love to get together with you and hear your ideas for your special day. 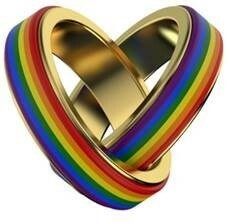 Through my extensive experience as a Civil Marriage Celebrant I can make suggestions, and together we can plan your perfect marriage ceremony. 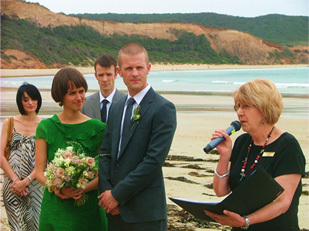 I have worked as a relationship counsellor and parent educator – good skills for a celebrant. I enjoy working with people – it gives me pleasure and satisfaction. I especially love celebrancy and it would be an honour and a privilege to be involved in your special day. 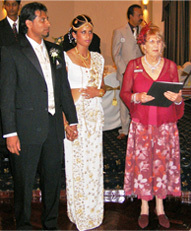 A well-produced and conducted ceremony ensures the success of your most important occasion. My extensive experience in working with people from a wide range of cultures and backgrounds gives me the capacity to be responsive, accommodating and flexible. I have good listening skills – essential for creating, with you, the ceremony that you desire. There are almost limitless options for your wedding ceremony – I can help you choose what best suits you. You can include family or friends, children or step children or references to your cultural heritage. Any or all of these or other options can make your occasion special and unique. You may have in mind a special venue around Melbourne. I am willing to travel and have conducted ceremonies in seaside and country venues. I attend to all legal aspects of your wedding and present you with a laser printed legal Marriage Certificate as part of the ceremony. You receive a keepsake copy of your ceremony in a presentation folder. 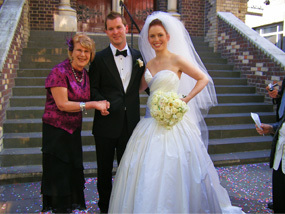 To ensure your ceremony runs smoothly I conduct a rehearsal before the event, preferably at your chosen venue. A rehearsal means that everyone knows what to do and how to do it, so that all participants can be more relaxed on the day. I arrive early on the big day to check that all is as it should be. 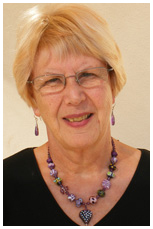 Member, International College of Celebrancy Association, a professional body for Celebrants. I am bound by their code of practice which requires the highest standards of Celebrancy.